Is there a better alternative to Snippets? Is Snippets really the best app in Libraries category? Will Snippets work good on macOS 10.13.4? Snippets stores the most often-used pieces of your code for you to re-use in different projects. Fixed Issue with 2 instances of Snippets Assistance running at the same time. Fixed Snippets Assistant did not displayed snippets in menu if root item is Group rather than Folder. 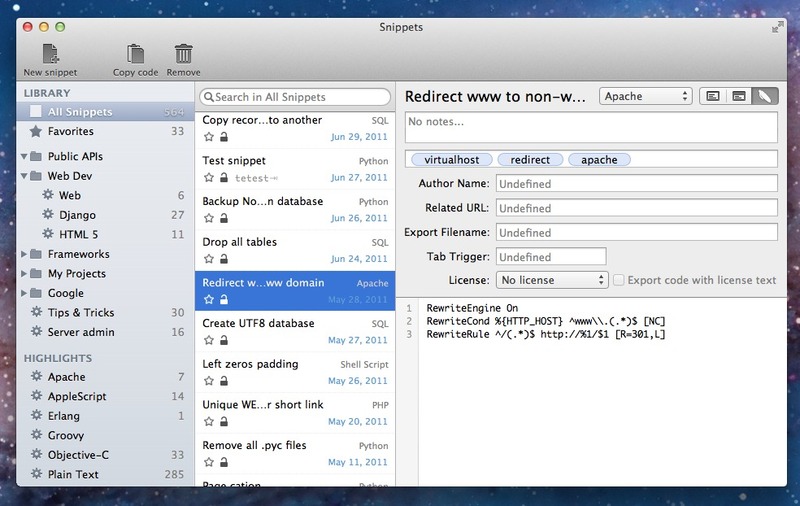 Fixed Snippets Expander and Global Search can reuse snippets from Trash. 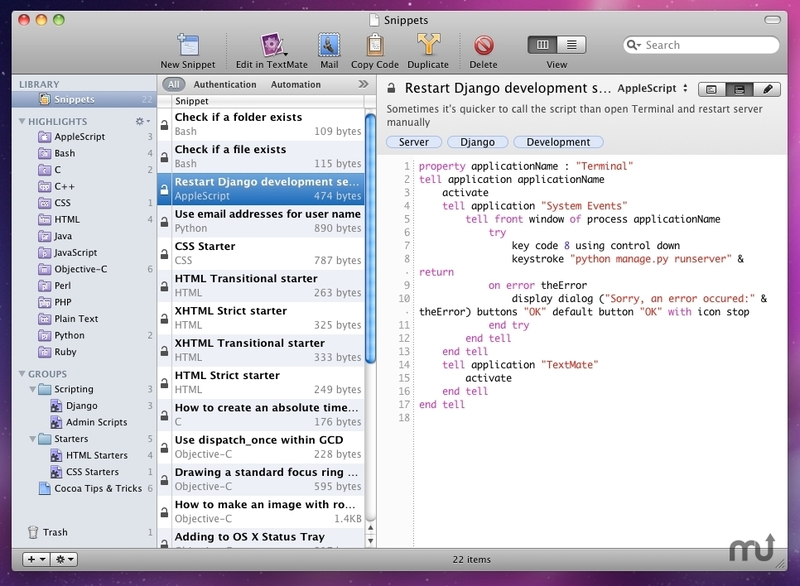 Fixed Fixed issue with cursor positioning in code editor on OS X 10.9 Mavericks. Enhanced Improve php syntax checker, improvements to highlighting of xml like languages.